When my brother and I were kids, not a holiday (in our case, Hanukkah) would pass without a new set of Legos. Scott and I are keeping up the tradition with his our nephew. His cousins joined in the fun to help on this one, a satellite launch pad. New Year’s can wait – first comes Seattle. As you may or may not know, I am notoriously slow at posting photos of my adventures outside of my project365. 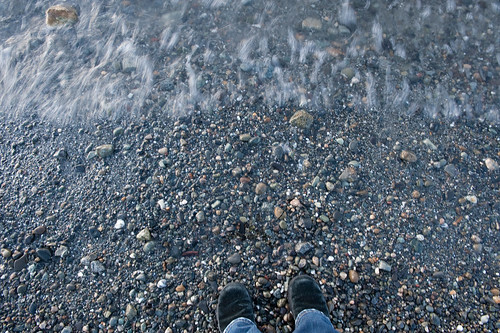 So, while I would rather write a post about the exit of 2009 and entrance of 2010, I’m going go backwards a little to my recent jaunt to Seattle for the holidays. I’ve never been to the west coast before. Technically, I still haven’t been, but Seattle is pretty darn close – and in Pacific time – so it counts in my book. Scott’s family lives in Everett, so we didn’t spend the entire trip within city lines. However, the few times we were able to visit were fantastic. 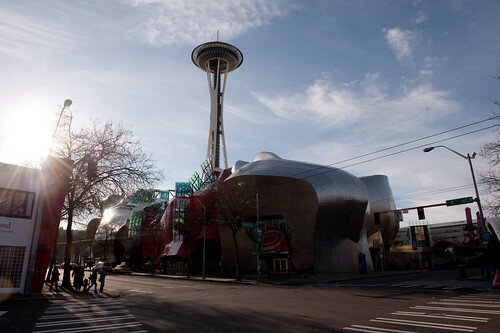 On our first trip, we went to the Seattle Center, which is home to the Space Needle, SciFi Museum, and the Experience Music Project (collectively known as the EMP|SFM). A bit touristy, a bit awesome. While I don’t think I would go up in the Space Needle all the time, it was incredible to see the entire city from the air. The second trip kept us on the ground and put us down in the center of the Pike Place Market. What an incredible place! 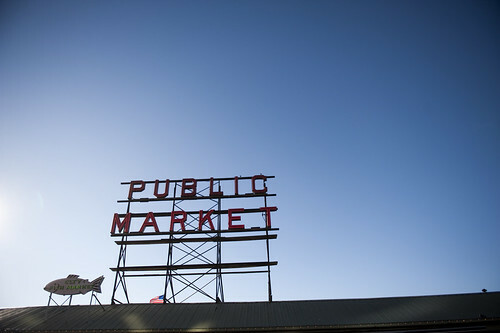 If I lived in Seattle, I would go there every week to buy fresh fish for dinner. I usually get squeamish seeing whole fish or meat on display at the supermarket, but here all I wanted to do was look at it and eat it. Mmm, fish. We really lucked out with the weather on this trip. The only sort of precipitation we saw was in the form of thick frost on the ground in the morning and fog over the bay once. Other than that, we had beautiful blue skies and golden sunsets. I almost wish it rained a little just so I’d get to see what typical weather is like in Seattle. I really loved this city and can’t wait to go back and explore more. Ironically though, the only photos I have uploaded so far are my project365 selects. More photos to come in subsequent posts. I’ll keep ’em short and sweet.